Finding enough closet space in your home can be pretty challenging. 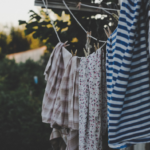 Our linen closets tend to be overflowing and the closets for our clothes are filled with random items that we don’t need but will never throw away. If your closets are overflowing, don’t worry you are not alone. 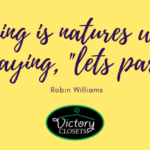 Fortunately, there are many other rooms in your home where you can put a closet system which will help you stay more organized! Our attics are most likely already filled with random items that we don’t need! However, it is probably packed with random boxes that were labeled with a sharpie marker. It seems impossible…or very expensive…to put a closet system in there. But trust me, it is very affordable and worth it. Our attics tend to be larger so they could fit many items. But when there are boxes stacked it makes them seem smaller and chaotic. 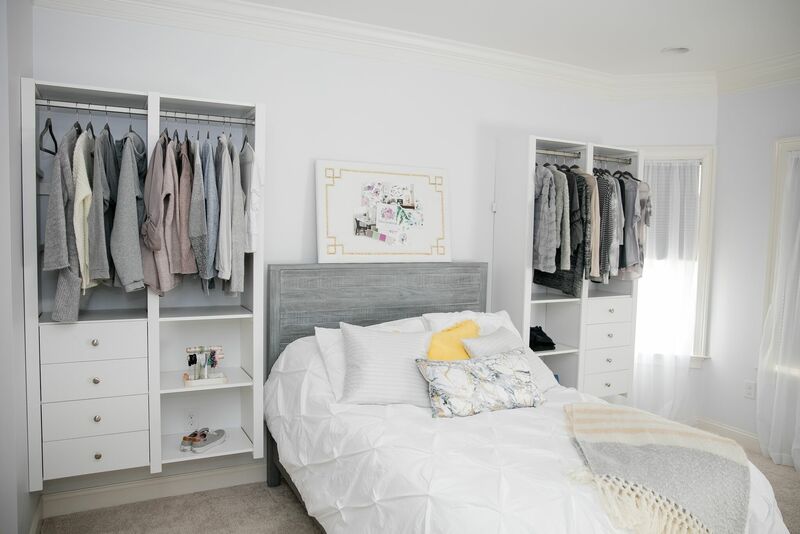 With a closet system you can put those boxes neatly on shelves and also hang clothes that are out of season nicely on a rack. It will open up the space and give you some air to breathe. Most attics have slanted ceilings but that wouldn’t be a problem at all. Just a little, inexpensive modification would do the trick! Do you have an extra bedroom that never gets used? Are you an empty nester? 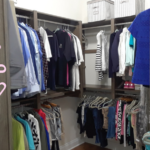 Use these rooms to create that dream walk in closet that you always wanted! 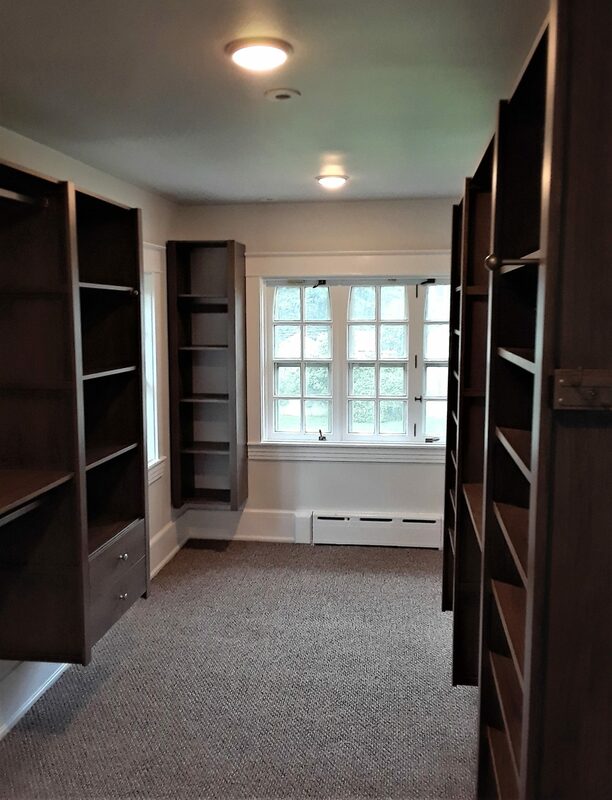 When you convert an unused room into a closet, you are creating a space that is probably much larger than most people’s walk in closets. You can either use the closet for yourself or share it with your spouse or family. It’s amazing how much you can fit into a spare room! 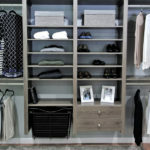 If you have a room that someone is living in but their closet space isn’t enough, then you can always have a wall unit. 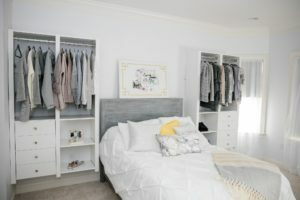 The closet system could go on either side of the bed, in a corner, or on a side wall. Either way you can get the closet space that you need! Most people think of just plain old wired shelves in their pantry. 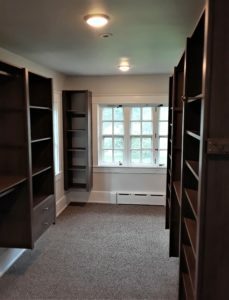 Sometimes the shelves are evenly spaced or if you’re lucky, the height between the shelves are different so you can fit different sized items in. 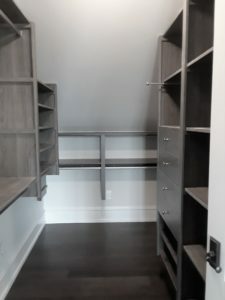 But you can put a closet system in where you get to choose the height between shelves and you can choose to put things like slide out baskets in as well. You’ll be able to make much more room by doing this! When you think of shelves or rods in your laundry room, what do you think of? One shelf with on rod going across the bottom. 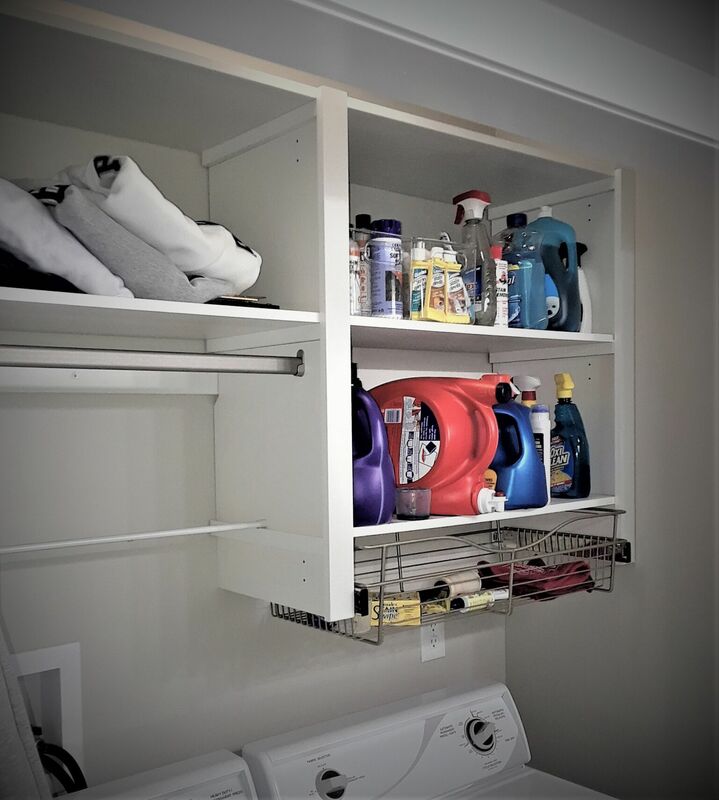 Laundry rooms can be tricky because the shelves and rods with hanging clothes have to fit above the washer and dryer. This means your closet system may have to be modified. This modification is very easy and very inexpensive. 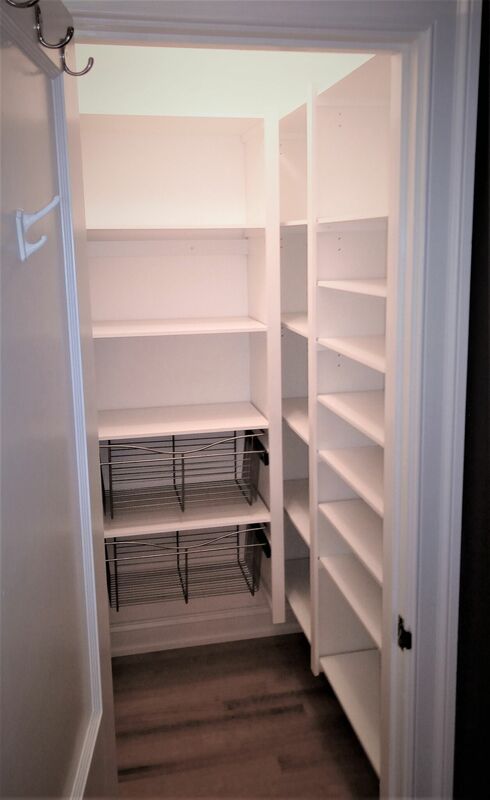 With our closet system, you’ll be able to have extra shelves that you normally wouldn’t be able to have with the standard laundry shelving. 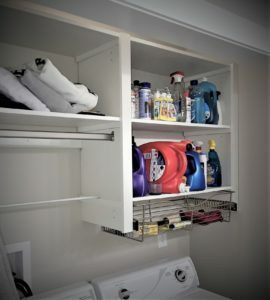 If you have an open wall in your laundry room then you can do a full closet system with double hanging or lots of extra shelves. 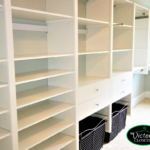 Most people already have a couple of shelves or a hanging rack for their coats in their mudrooms. They also tend to put cubbies in there to store shoes. 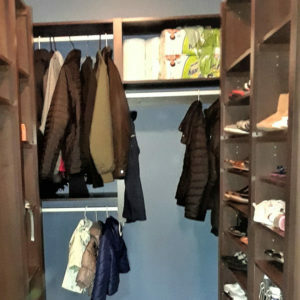 However, cubbies are a waste of space because you won’t be able to fit nearly as many shoes as you could on on long shelf. A small closet system with some shelves and a rod for hanging will not only give you more space, but it will also keep your mudroom cleaner and more organized. 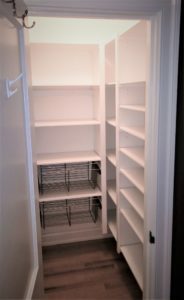 These are the extra places that you can put a closet system into! Of course you can always put a closet system into a walk in, reach in, linen, or coat closet. If you really want to get creative then you can always put them in your garage or a utility closet! 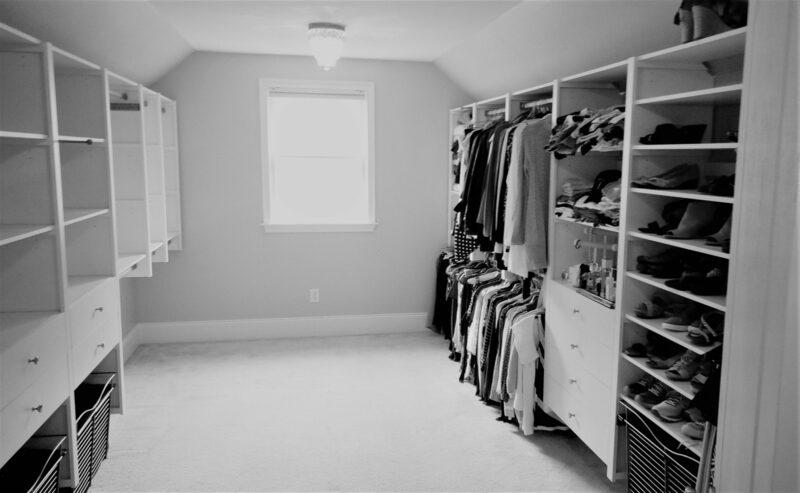 Our closet system can fit anywhere you desire and is extremely versatile so it will always fit your changing needs. For a free, hassle-free quote call Victory today!